Peaceful World Yoga is a passionate community of trainers and school-wide educators, school counselors, specials teachers, parents, community members and administrators who have a passion for teachers, children and the growth of a healthier and happier education system, where children not only learn their ABC's in school subjects, but learn the ABC's of life, Achieve Balance & Compassion. Peaceful World Yoga trains and empowers educators to take education growth and reform into their own hands, by teaching them to focus on their hearts and their own personal transformation. Peaceful World Yoga strives to educate teachers in all eight limbs of yoga and guide educators to focus their life passions into their classrooms and schools and into their daily life and self-care regimen. Our Peaceful and Compassionate Classroom Training focuses on all eight limbs of yoga, mindfulness practices, anatomy for self-care, trauma-informed instructional strategies, social justice and social-emotional learning. This training provides a playful approach to learning while connecting with other educators and empowering one another with compassion and kindness. Our trainings are geared to fit your school's individual needs. Want to dive into the 8-day transformational training? We spend four weekends together, guiding educators to become the very best version of who they are meant to be. Want to make a bigger splash? Our 16-day training takes teachers to a deeper level in all areas of learning that our 8-day training provides and also includes our Passion Mentorship Program that allows you to lean on the community you are embedded in during the training and beyond. Our trainers become community mentors who assist educators in creating lesson plans in all of the areas of focus from our 100-hour training AND work with educators to extend these lessons into content areas, such as reading, writing, science and math. Support doesn't end when the training ends, our trainers/mentors offer ongoing support, workshops, online courses, monthly Peace Meets, and in-person retreats and Meetups. The community builds over time, as like-minded educators begin to develop and create the educational system that is steeped in social and emotional development, yoga, and mindfulness. 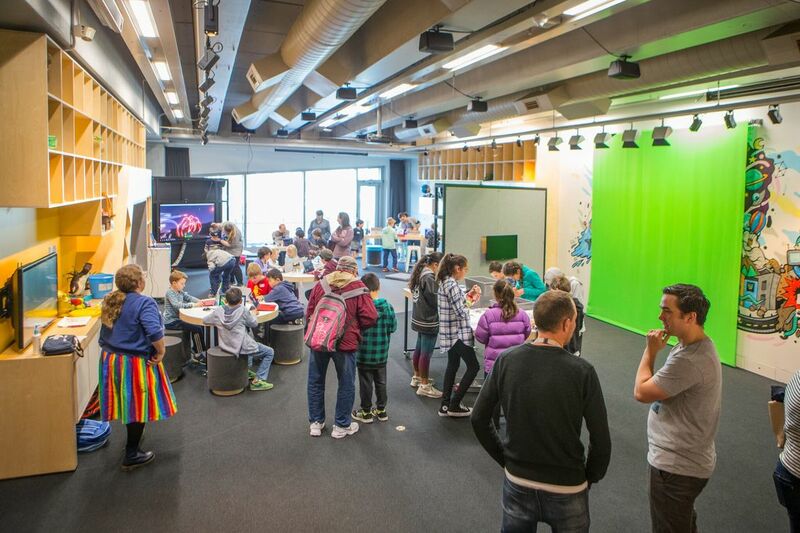 Allowing children to become children again by creating Learning Lab Environments. We believe that all learning is something to be experienced and be excited about. The Learning Lab Experience model has been piloted in three classrooms across the country with great success. Please contact Peaceful World Yoga for more details about our LLE model classroom. Graduates will be certified as Peaceful World Educational Leaders who will pioneer the next educational movement. Graduates will also receive their Yoga Alliance Certified Yoga Teacher (CYT-100 or 200) certification and be qualified to register for their Registered Yoga Teacher (RYT-200) Certification. CEU's are available for all of our trainings, courses, workshops, retreats, and mentorships. Peaceful World yoga aims to make our trainings accessible and affordable to educators, parents and community members who work with youth. Peaceful World Yoga provides up to $500 in need-based scholarship, early bird specials, and offer payment plans that allow educators across the country to gain access to our trainings and workshops. Peaceful World Yoga's mission is a community movement to create a world where people support one another through love, compassion, and peace. We provide opportunities for people from all walks of life to transform their lives by delivering programs, workshops, and trainings that provide the tools and skills to educate and empower each individual to navigate the world they live in.